What's new in mp3Tag Pro 8.0? [!] Now mp3Tag Pro supports tag fields in Unicode, as well as filenames containing all sorts of local characters. While previous versions of mp3Tag Pro supported Unicode in tags, the program depended on your system locale to save them properly. Thus it was not possible saving, for example, Greek characters, if your system was set to English. Starting with mp3Tag Pro 8.0, the program fully supports Unicode and can properly read, edit, rename files containing various characters in their names, as well as save any characters to tags independently of the currently used system settings. [!] Improved interface, ID3 tag fields are now shown in the list and can be edited there. 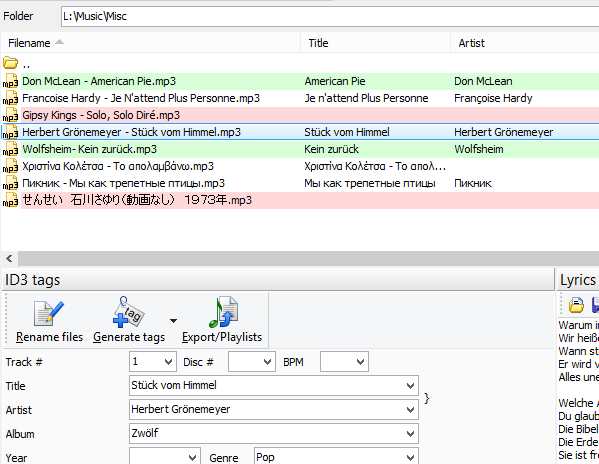 In mp3Tag Pro 8.0, tags of music files are displayed directly in the list. To edit a certain entry, just click it in the list and provide necessary corrections. Previous versions of mp3Tag Pro distinguished between minor and major upgrades. Minor upgrades were free, major upgrades required some payment. mp3Tag Pro 8.0 introduces new licensing rules: now all upgrades, both minor and major, are free throughout the whole period of license validity. Furthermore, after purchasing a license you get access to the package of 5 programs (full versions): mp3Tag Pro, Visual MP3 Splitter & Joiner, AudioConverter Studio, Music Duplicate Remover, MIDI Converter Studio. [+] It is now possible apply filters to the list of files: show files without basic tags, without lyrics, or without covers. mp3Tag Pro 8.0 makes it easy to see the situation with tags and filenames at once: songs without tags are highlighted with red, songs without lyrics are shown without any highlighting, songs with lyrics are highlighted with green. Furthermore, you can easily filter songs by different paramters: show songs without covers, without lyrics, without tags (the rest will be removed from the list, if a filter is applied). [+] New mode for lyrics search. The new version of mp3Tag Pro comes with an additional engine for lyrics search. 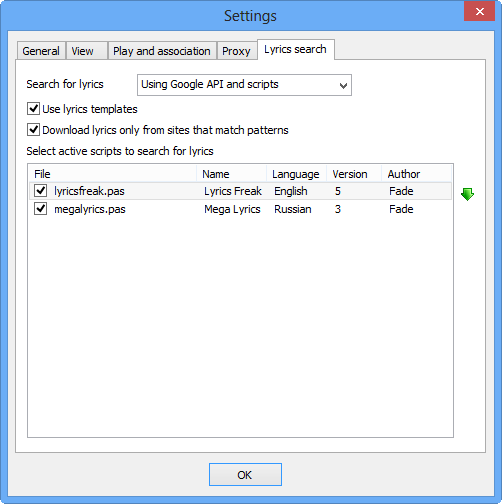 Now the program can search for lyrics in two different ways, providing more flexibility. Scripts allow you downloading lyrics from specific sites, making sure that the text comes nice and clean, with proper formatting. [+] It is now possible to add pictures from the folder where the corresponding music file is stored. In mp3Tag Pro 8.0, you can add album art to your files much faster, as the program will automatically open the folder where the corresponding song is stored. [*] Support for import from Discogs and MusicBrainz with the new APIs. 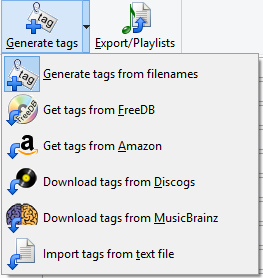 mp3Tag Pro 8.0 uses new API of MusicBrainz and Discogs, which results in downloading more information about music albums. [*] Improved saving MP3 tags of the ID3v2 version. There are some optimizations and compatibility improvements. This allows mp3Tag Pro 8.0 saving ID3 tags faster, compared to previous versions. [-] Fixed saving M4A tags. Fixed a bug in the M4A module. Various small bugs were fixed in mp3Tag Pro 8.0. If you find a bug in the program or just have a new feature in mind, please contact our support team. We appreciate your feedback!